Thanksgiving day is so much more than turkey and football. It’s more than the Macy’s Thanksgiving Day parade and the kickoff to the Christmas holiday season. Literally, it’s about giving thanks for what Americans have, not what they don’t have. It’s a day to remember ancestors and the generations that have passed before, their experiences and tribulations, dreams and legacies. The United States is one of the few nations in the world who traditionally celebrate such a day of thanks on a specific date, and Governor Bradford from Plymouth Colony was the first to issue an official proclamation to honor the day. Pilgrims celebrated the first non-official Thanksgiving in 1621, though such a celebration set aside to offer thanks for a bountiful harvest and surviving another year did not originate with the new colonists, but has been handed down through time itself since the beginning of mankind. Pilgrims entered nearby forests and hunted turkeys for their feast, which nearly a hundred American natives also attended, bringing with them deer and wild vegetables. The celebration lasted three days, with plentiful food, games and entertainment for all. Another day of Thanksgiving was observed on November 23, 1623, after a particularly difficult year, again ordered by Governor Bradford, and many believe that it was this celebration which began the tradition of setting aside that particular day for offering thanks for generations to follow, though the day was not officially observed on the same day, nor every year afterward. However, it wasn’t until 1789 that President George Washington ordered a day of thanksgiving, and other presidents followed suit, including James Madison, who asked for a day to give thanks for peace in 1815. The history of celebrating a day of thanks was sporadic at best. Over the years however, it was felt by both politicians and citizens, that American people should observe a national Thanksgiving Day, and the efforts of Sarah Hale, editor for Godey’s Lady’s Book, set forth on efforts for the following twenty years for a national day of observance to be set. Her last editorial regarding the subject appeared in the magazine in 1863, and her tireless efforts, in addition to the fact that the North had just won the major, though costly, battle of Gettysburg, prompted President Abraham Lincoln to issue a proclamation that the last Thursday of every November be set aside as an official day of giving thanks. Through the years, presidents have written proclamations and documents extolling how fortunate Americans are, and while not without sacrifices, the American way of life is envied by many other nations. The days leading up to Thanksgiving Day are filled with holiday preparations, and school children practice their parts for plays depicting the first Thanksgiving celebrated by the Pilgrims. Thanksgiving Day is considered the busiest travel day of the year as families make plans to enjoy the feast and celebrations together. 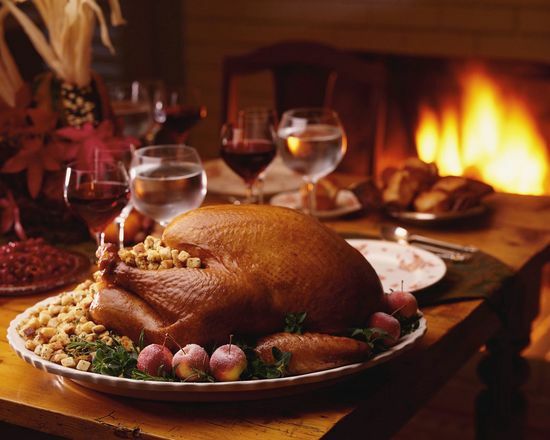 Typical foods eaten on Thanksgiving Day have passed down over generations and consists of roast turkey with dressing, sweet potatoes, cranberry sauce, squash, plum pudding and pumpkin pie. In many communities, religious services are observed, followed by a day filled with cooking and televised football games. It’s a time for family and family reunions, of laughter and warmth. Thanksgiving Day is a special day for all Americans, and even the poor and homeless are treated to turkey dinners as thousands volunteer their time, their money and the spirit of Thanksgiving and generosity to those who aren’t as fortunate as others.